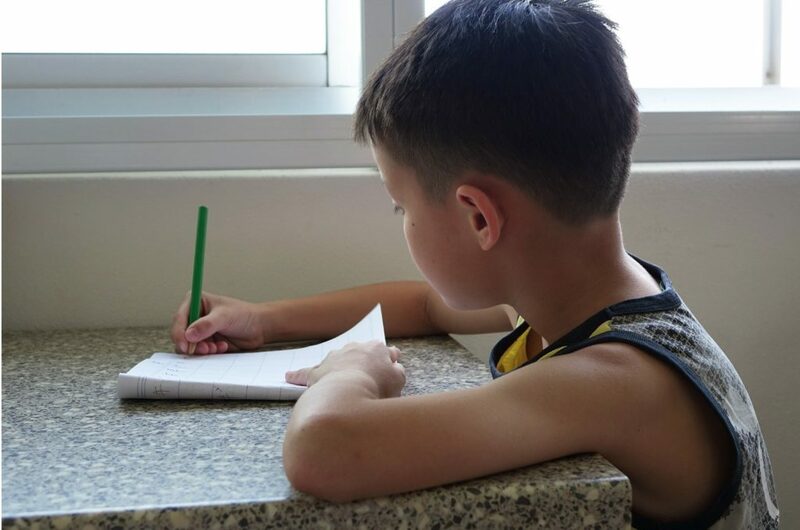 “Man, this is so hard”, “I hate homework!”, “Why does he give so much homework?” These are just a few of the things that you (okay, your child too) might be saying when you sit down to help your child with his/her homework. Let’s be honest, there is probably only a small percentage of kids who actually love homework. For most kids though, it is a dreaded task that often comes with complaints and procrastination. 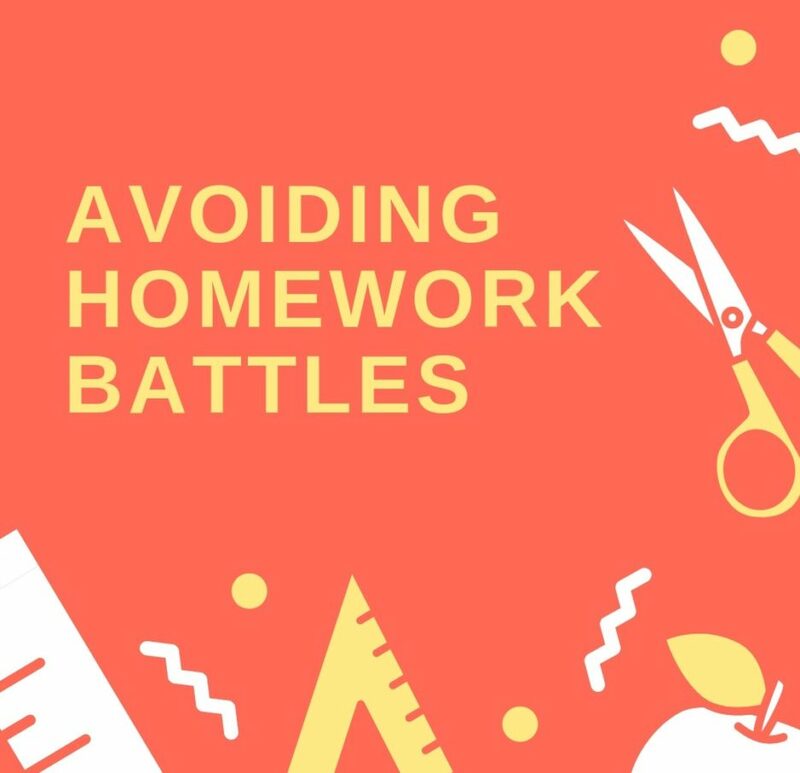 With a few simple tips, avoiding homework battles is possible. Avoiding homework battles begins with the right atmosphere. 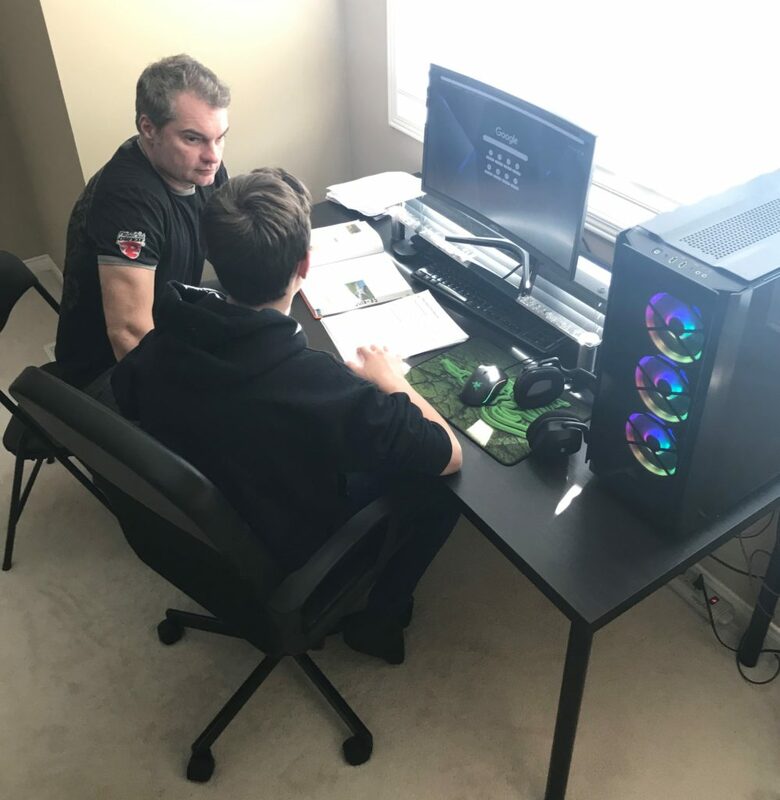 Homework doesn’t have to be completed at the kitchen table. It could be completed at the library, on a bed or even the couch. So long as it is not in front of the television or any other possible distraction. Ensure there is good lighting, plenty of snacks/drinks, and that the necessary materials are readily available. Some children even do well with music playing in the background. Knowing your child’s learning style will help create a positive atmosphere. Setting a consistent routine will help develop homework habits that are productive. Ask your child when they think they might be more likely to complete homework. Do they prefer to do it right after school? Do they need a snack first? Once an agreed upon time is made, stick to it. Yes, there will be some exceptions, but overall a consistent schedule will help avoid homework battles. No child wants to work for three hours straight. Set a realistic length of time by considering your child’s age, and what extra curricular activities as a family you are involved in. Maybe there is one night a week that is homework free. Start with easier tasks, break more difficult concepts down into smaller, more manageable chunks. If your child is struggling, never rush them and consider shorter time frames. Example, complete 10 minutes of homework right after school, 10-minute snack break, then back to homework for another 10-15 minutes. Parents want their children to succeed, even when they are completing homework. One way to achieve this and avoid homework battles is knowing your strengths. Is math your strong suit or does it make you want to hide? If possible, divide homework up between parents based on the subjects you feel comfortable teaching. Not all homework will be easy for your child. When your child exhibits frustrations, remain calm and encouraging. While it is not okay to do it for them; it is okay to write their ideas down for them. Another tip is to ask guiding questions to help them reflect on their work and the information. And don’t forget to praise their efforts! Okay homework isn’t fun, but you can at least try to make it bearable. Take a movement break, play some music and dance around. Do you have a gym in your basement? You and your child can do some fitness challenges. Example, 20 push-ups on your toes. Use a timer to visually track how much time is left to complete homework. With a little pre-planning and motivation, your child is less likely to put up a fight. On-going home-school communication is key! Focus on your child’s strengths and areas of need. Ask the teacher for sample work. If you disagree with the type or amount of homework, avoid speaking negatively in front of your child. Instead, contact your child’s teacher directly to discuss expectations, your child’s needs and the best way to support. Homework is part and parcel of being a student. Let your child know that it is important but doesn’t have to feel like it’s the worst thing in the world.